Dear LFI: Why Am I So Afraid of Being Alone? This is the sixth post in the Dear LFI series where we converge here on the porch to answer specific, personal, life-issue questions posed by anonymous contributors. Will you offer your thoughts on this issue? I recently ended yet..
Dear LFI: Why Do Bad Things Happen to Good People? Dear LFI: How Do I Deal With My Fear? This is the fourth post in the Dear LFI series where we converge here on the porch to answer specific, personal, life-issue questions posed by anonymous contributors. Will you offer your thoughts on this issue? 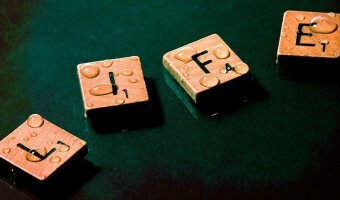 My life is wonderful…I..
Dear LFI: How Do I Fill the Inner Void? This is the third post in the Dear LFI series where we converge here on the porch to answer specific, personal, life-issue questions posed by anonymous contributors. Will you offer your thoughts on this issue? My life is going..
Dear LFI, How Do I Deal with Getting Older in a World That Values Youth? This is the second post in the Dear LFI series where we converge here on the porch to answer specific, personal, life-issue questions posed by anonymous contributors. Will you offer your thoughts on this issue? On a good day..
Dear LFI: How Do I Help My Friend? This is the first post in the Dear LFI series where we will converge here on the porch to answer specific, personal, life-issue questions posed by anonymous contributors. Will you offer your thoughts on this issue? What do I..